А эти три маникюра покажу вам. 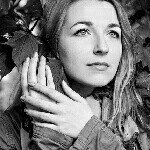 У Алены был немного другой рисунок, но у меня той пластины не нашлось, так что я использовала Born Pretty Store BPL-024 с краской MdU Gold, а раскрасила стемпинг несколькими желешками: Colors by Llarowe Ocean Water, El Corazon 423/43, 423/44, 423/45, 423/46, 423/61. I don't have a plate Alena used so I chose Born Pretty Store BPL-024 instead. 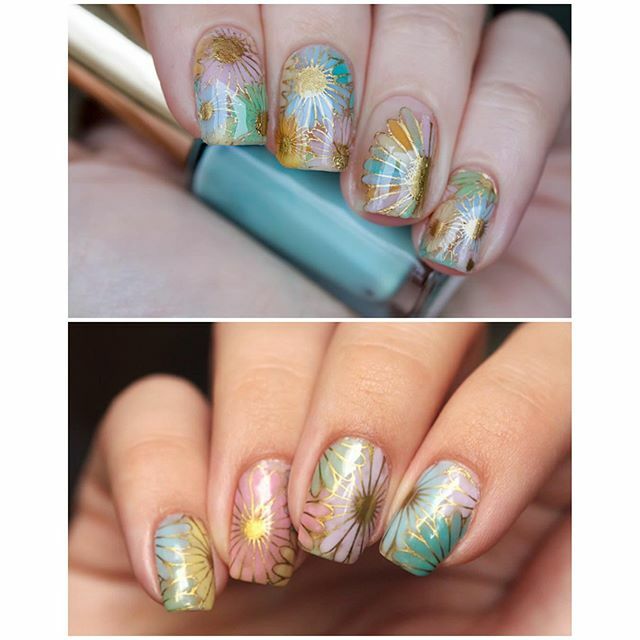 I stamped with MdU Gold and coloured in with Colors by Llarowe Ocean Water, El Corazon 423/43, 423/44, 423/45, 423/46, 423/61. 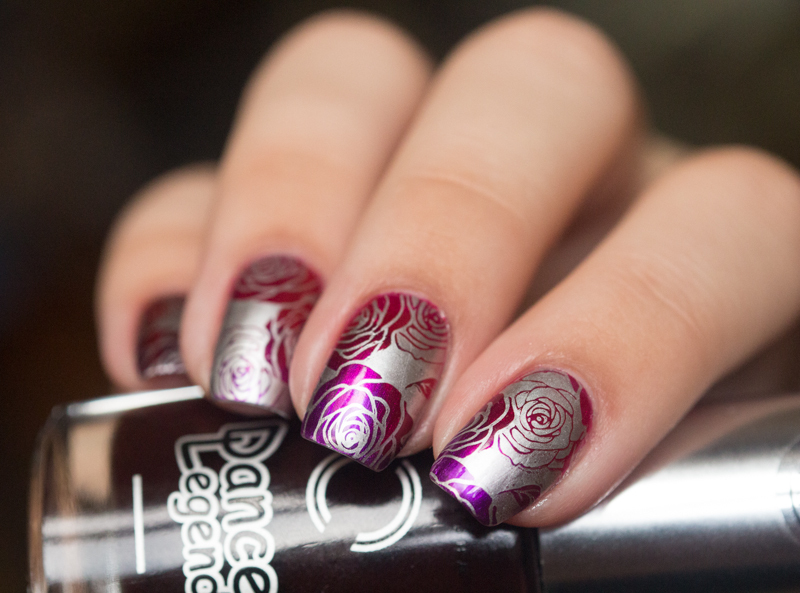 I used the same plate as Alena, Born Pretty Store BPL-024, but Dance Legend Steel and Dance Legend Enamel Glass 1051 and 1058 instead of OPI color paints and silver base which I didn't have. 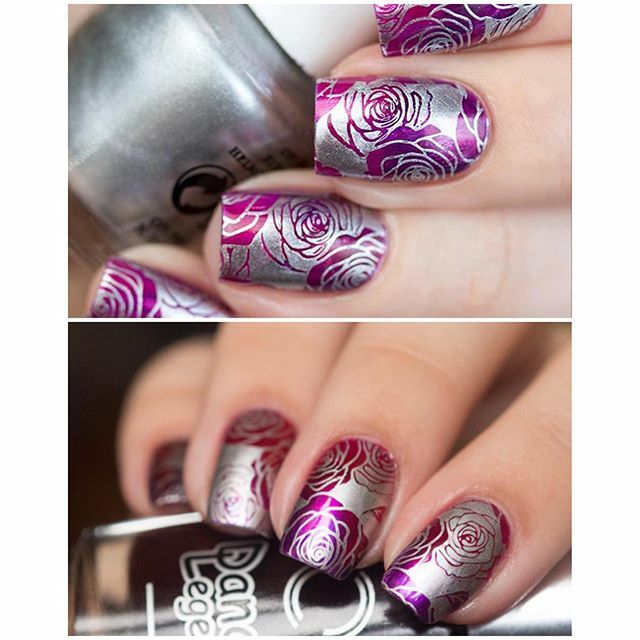 How it's done: firstly you apply silver base, then do a gradient with tints/jellies and stamp roses with silver. 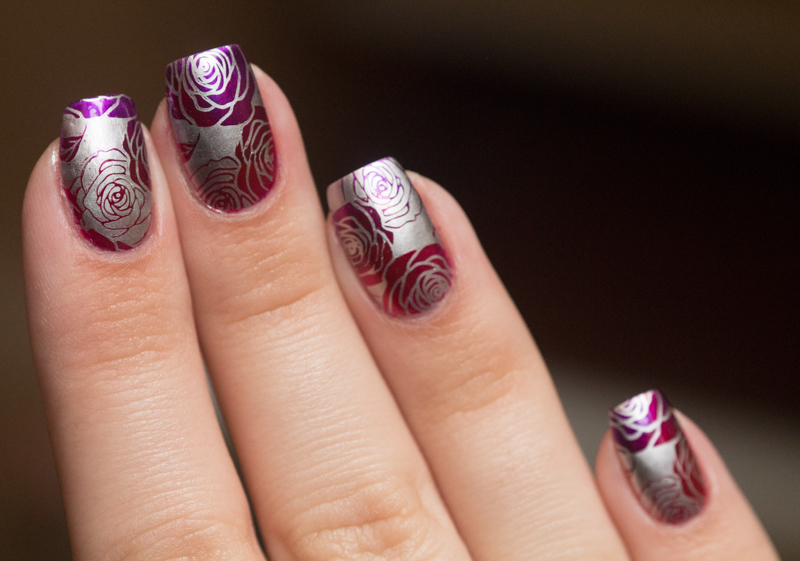 Использовала Sally Hansen Sterling Silver, Kiko 295, заклепки из Born Pretty Store и топ El Corazon Fireworks. 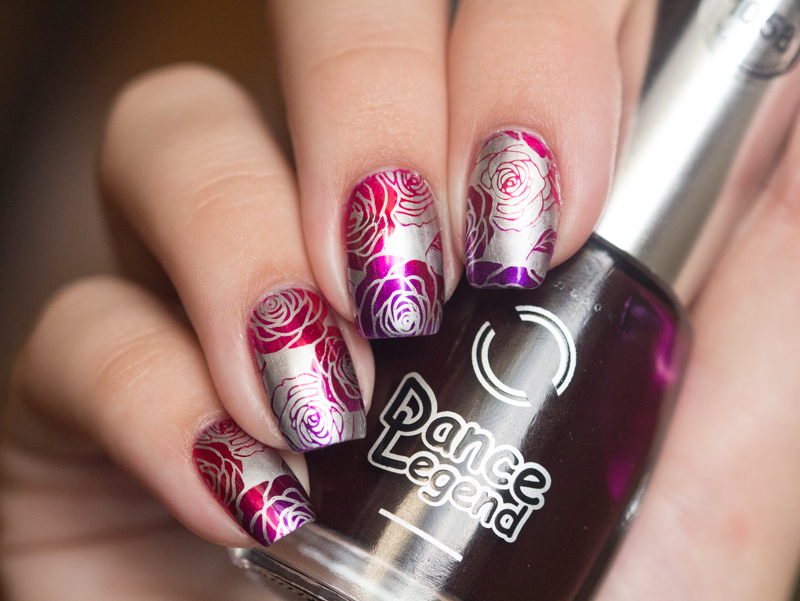 The last entry was a recreation of a really old manicure of Alena's. 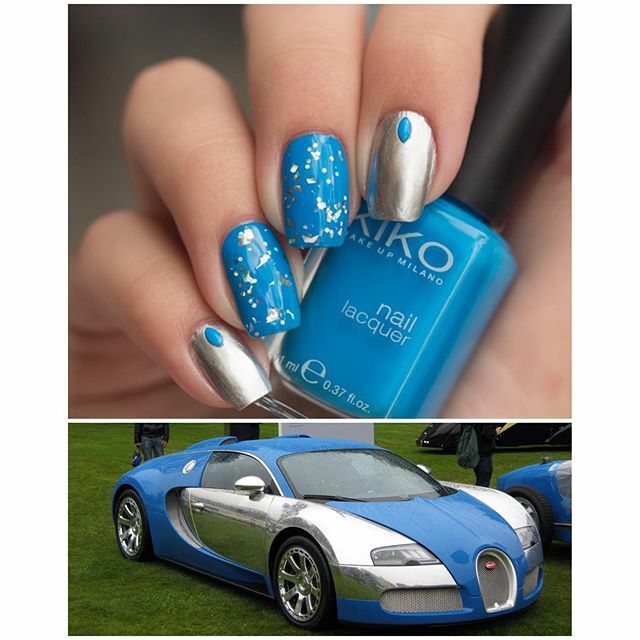 I loved it so much and mostly because it was so similar in colours and finishes to my all-time car love – Bugatti Veyron Centenaire Edition Jean-Pierre Wimille. I'm actually indifferent to cars but this one makes my heart melt! 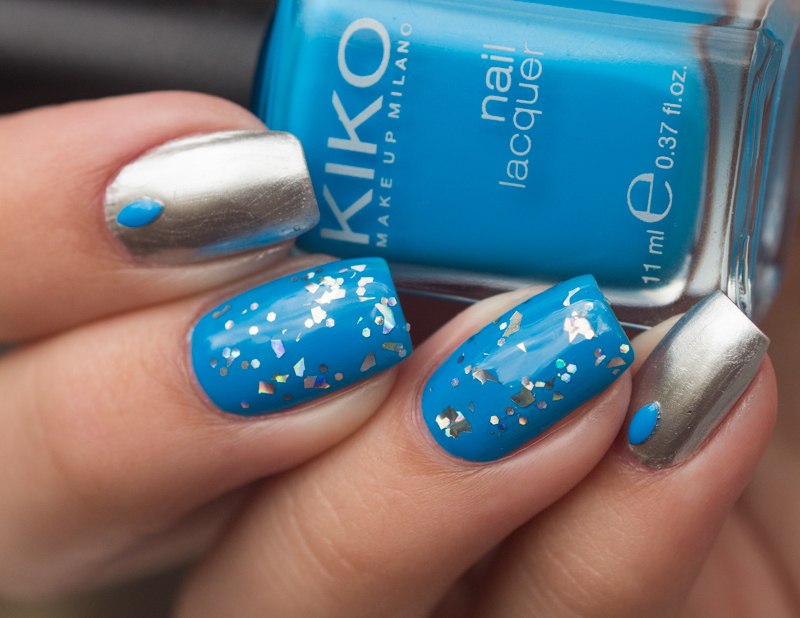 I used Sally Hansen Sterling Silver, Kiko 295, Born Pretty Store studs and El Corazon Top Fireworks.